In most organisations there is a corporate identity that defines the culture of the employees and the way that they think. This has its benefits, but it may also limit innovation and creativity. Let’s consider the analogy of a green lawn. The identity is all “one team” with a large number of identical green blades of grass (the individual employees). Each single blade of grass reacts in a standard way to the same sunlight, water and fertilizer, even when you mow it, it all grows back with uniformity awaiting the next scheduled gardening session. But what if you introduce some strategically placed coloured flowers into the lawn? 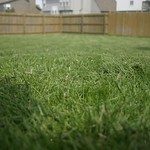 Visually, they would make a significant difference, but they would not disturb the overall functioning of the lawn. However, these coloured additions also attract other plant life, insects, birds and other creatures that would contribute to the overall functioning and diversity of the lawn. So let’s go and plant some flowers in the corporate garden and cultivate some innovation and creativity! Where will I sit today?